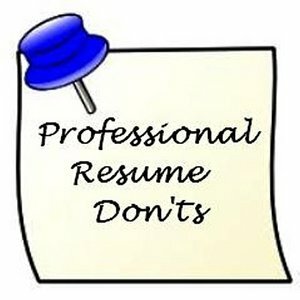 As we said in our previous blog, your CV will often determine if you get that all-important interview. 1. Don’t divulge your age. Like it or not many recruiters and employers are ‘ageist’ – don’t make it any easier for them to discount you before they’ve met you. Once you meet them and make a favourable impression, it’s harder for them to discount you. 2. Don’t divulge your marital status – not necessary – you’d be surprised how many people still have this on their CV. 3. Don’t go back too far in your work history. 10-15 years will often suffice – do a brief summary of any prior roles. People don’t want to see detailed roles and responsibilities you had from 1976-1979. Also, ‘ageism’ can be triggered if your work experience dates back too far. The same goes with the years you completed a course or school-if it’s too far back we would not disclose the year. 4. Don’t go overboard on your interests/hobbies. If you’re going for a senior role and your list of hobbies and interests is long and varied, it may deter potential employers and recruiters. Further, hobbies like surfing, hunting and ‘Texas Hold’em Polka’ may put some people off. Perhaps not fair you say, but prejudices do exist nonetheless. If you have to mention any interests/hobbies at all, keep it brief.